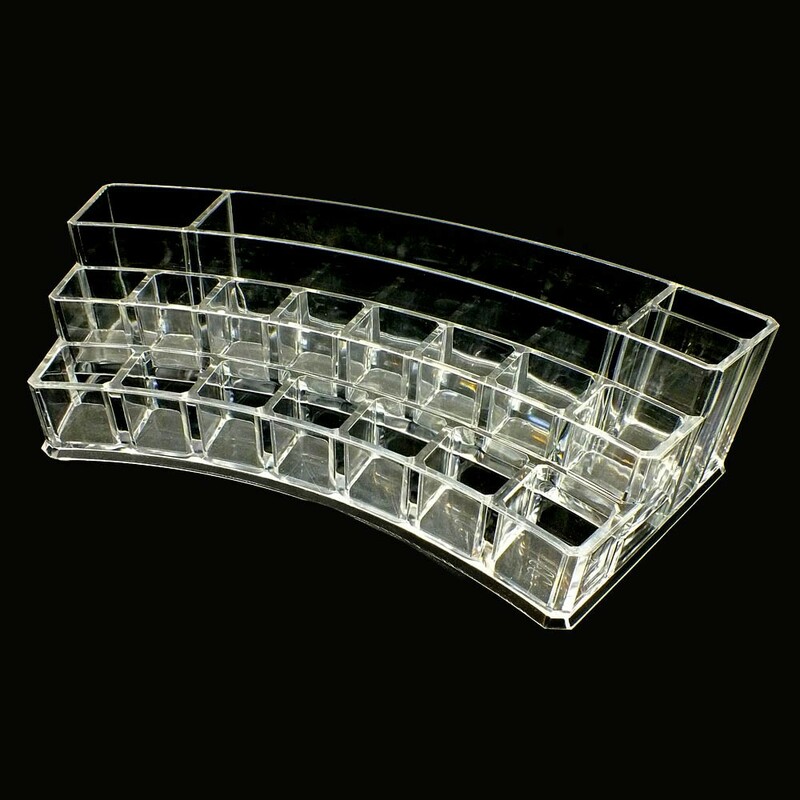 An acrylic makeup organizer of arch shape has 19 compartments of different sizes for keeping your cosmetics, jewelry pieces or hair accessories. Our multi-purpose makeup case and nail polish organizer has three levels what makes it easier for you to hold everything you need. 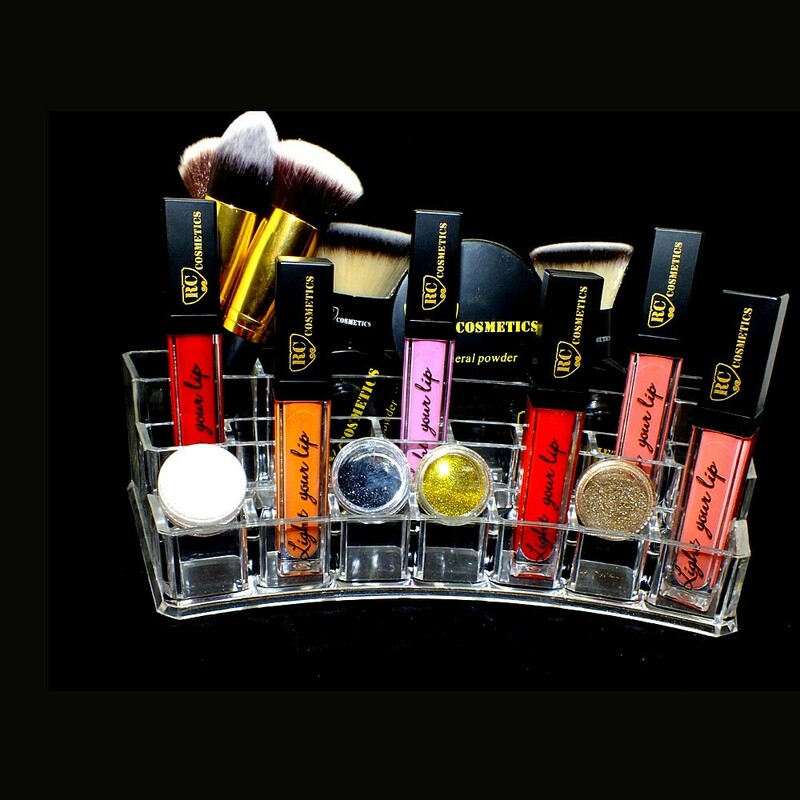 Multiple sections of different sizes and types allow you to store lip gloss, mascara, makeup brush, etc. 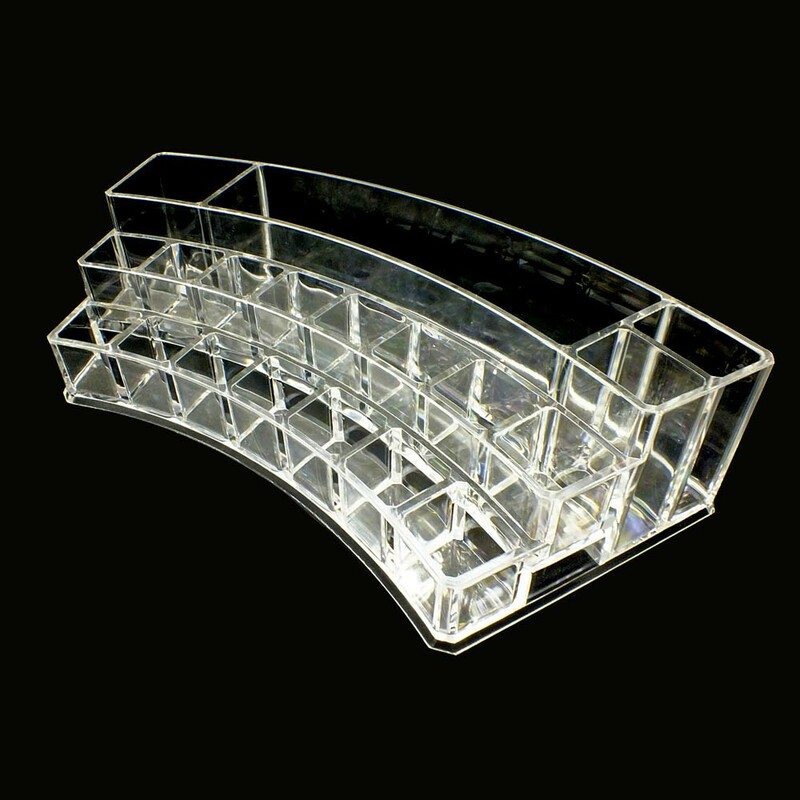 The curved design makes this cosmetic holder elegant and space-efficient.